First home buyers may have gone off the boil but other segments are hotting up. The federal government’s boost to the first home owners grant has officially been wound back – and investors are preparing to flood the market. Figures from RP Data revealed a decline in property market activity following the removal of the boost. But while many attribute the fall in activity to the winding back of the grant, RP Data’s head of property research Tim Lawless said it was more likely to be symptomatic of the seasonal influence of Spring – a traditionally strong period for property sales. “The rapid acceleration of the Index reflected the Spring scramble as agents hurried to prepare properties for the Spring selling season. With the selling season now well underway agents are much more focused on selling rather than listing,” he says. Mr Lawless says he does not expect the housing market to experience a further dramatic fall in activity, with investors gearing up to re-enter the market. According to Aussie Home Loans founder and executive chairman John Symond, investors have been patiently waiting on the sidelines for the first home owners grant to taper off. 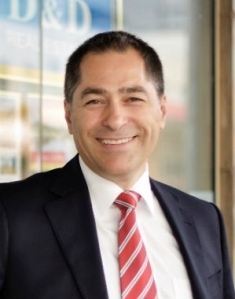 Aussie has recorded a 32 per cent rise in enquiries from investors via the Aussie website, and Mr Symond says increased consumer confidence, high rental yields and a continuous shortage of housing were combining to create “perfect conditions for property investors”. A recent survey of 764 investors found that almost 90 per cent intended to purchase property in the next two years, 66 per cent looking for long-term capital growth. The majority of respondents said they would be looking at properties priced at between $300,000 and $450,000, with an annual rental return of between 4 to 5 per cent.